FarmTech Asia is an International Exhibition and Conference on Agriculture, Dairy and Livestock Industry. This platform will become a meeting place for Agriculture and Livestock Farmers, Manufacturers, Distributors/Dealers, Agro Scientists, Government Bodies, Associations and other relevant Organisations. And, all at one place will be able to discuss the demand of the Industry and bring out solutions for growth of the Industry. 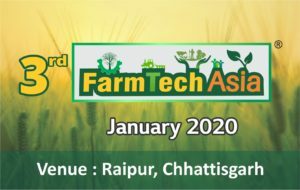 Mainly, Potential Business Visitors will be targeted and invited by FarmTech Asia. 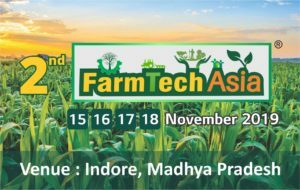 FarmTech Asia 2019 is going to get organised during November, 2019 at Indore, Madhya Pradesh, India. This Agriculture Exhibition in Madhya Pradesh will play a Vital Role as a platform for further growth of Agriculture Sector at Madhya Pradesh and its surrounding states.